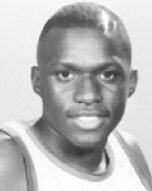 Drafted: Selected by the Miami Heat in the second round (28th pick overall) of 1989 NBA Draft. sherm intimidated me in a section basketball game in middle school. it was right before the half. the whole second half my game was off, they won, and they went to the locker room in pure joy.